The first significant site you will see as you enter the Valley is Hale o Lono (House of Lono), dedicated to the Hawaiian god, Lono. This heiau (religious place of worship) is believed to have been originally constructed around 1470 AD. Lono is associated with peace, fertility, agriculture, rainfall and music. Each year, during ho‘oilo (winter, rainy season) which lasts from about November through February, Lono is acknowledged as the presiding god. During the time of Lono, called Makahiki it was a time of rest, sport and celebration. It was also a time of tax collection in the form of offerings to Lono were collected at each ahupua‘a. Offerings included food such as taro, sweet potatoes, chickens and dogs, dried fish, clothing, cordage, feathers, or anything else of value. This site is still used today by Hawaiians who participate in traditional practices. 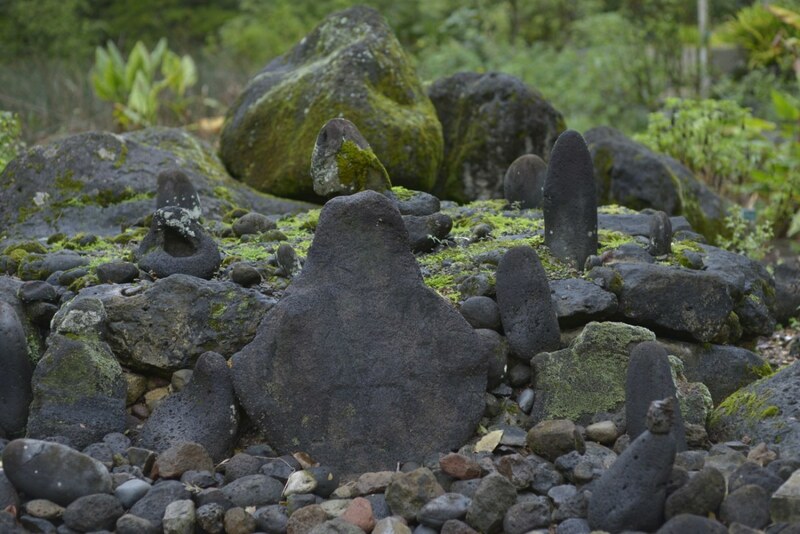 These pohaku (stones) are a ko‘a (shrine) dedicated to the fishing god, Ku‘ula. In Hawaiian tradition, fishing is an integral part of everyday life and many prayers and ceremonies are offered to ensure successful catches. The first, best or largest catch was presented at the ko‘a as an offering to the fishing gods to ensure safety and future catches. 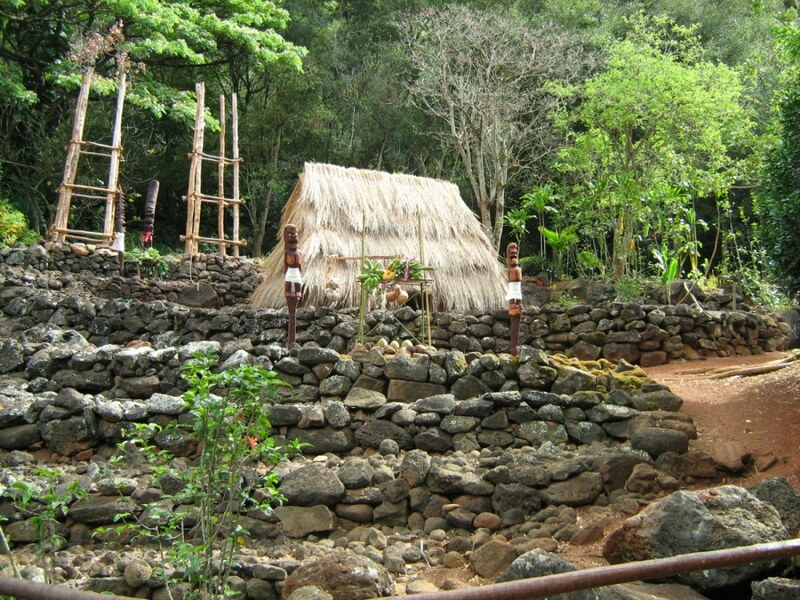 A kauhale (many houses) is a traditional Hawaiian living site for a high-ranking chief or priest. Hawaiians did not live in homes like we do today, with many rooms under one roof – rather – they had a roof or hale (house) representing each room. The entire living site is known as the kau hale. Hawaiian hale are constructed from natural materials including wood, grass and coconut-fiber cordage. In an effort to provide visitors with an understanding of what this kauhale was like, the hale are re-constructed using traditional techniques and materials. 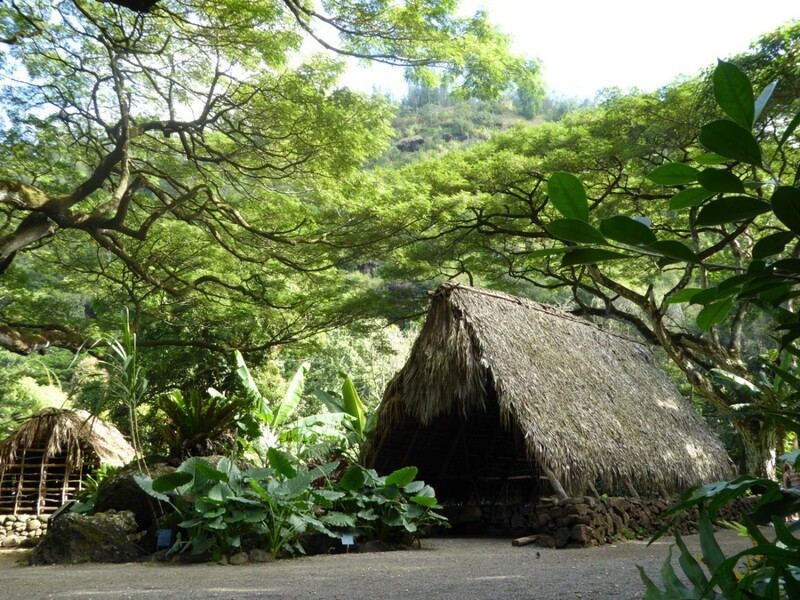 Hale Iwi (House of Bones) is an extremely special and sacred site within Waimea Valley. Based on archaeological research, this site shows many signs of being a burial temple for a well-loved, high ranking person. It appears to have been built in three phases beginning in the 1600’s. As one of the largest pre-contact structures in the Valley, its size indicates considerable energy was expended in its construction and over thirty archeological features have been documented here. Waimea Valley was once a mecca for agriculture and extensive terraces and walls were built to contain crops and to aid in water flow. There are numerous terraces of this sort throughout the Valley and many of them can be seen here. Kalo (taro or Colocasia esculenta) is a staple crop for Hawaiian people and was once extensively cultivated here in Waimea. Kalo, which grows well in irrigated terraces known as lo‘i, is a starchy, potato-like vegetable full of nutrients. While kalo can be eaten in many ways, in traditional times the corm was usually steamed and then mashed into a paste-like substance called poi. 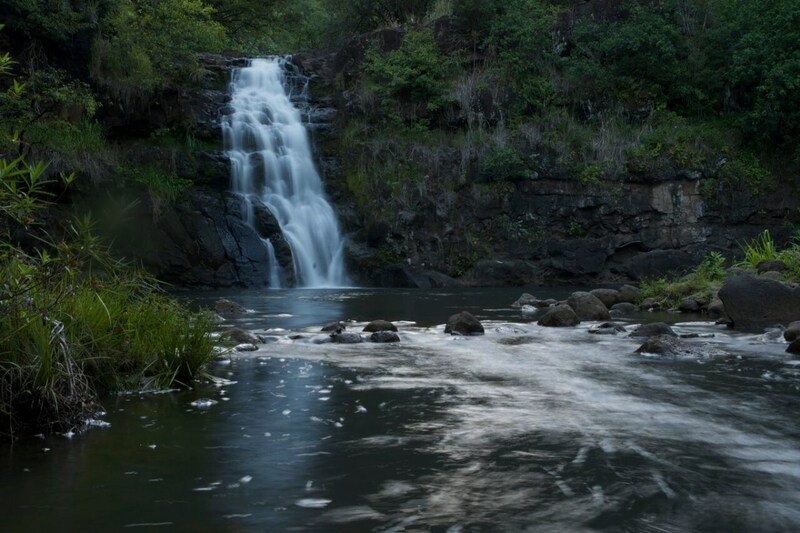 At about 40 feet tall, the wailele (waterfall) here in Waimea is both beautiful and sacred. The name of this wailele changes depending on the amount of water that is flowing. When the water gently flows, the name is Waihe‘e (softly trickling water). When the water flows heavily, the name is Waihī (purging water). The rains in the Ko‘olau (Windward) mountains many miles away flow into Kamananui stream (the main stream running through the Valley) which in turn feeds the waterfall. Wai (fresh water) is considered sacred to Hawaiian people. Known as ka wai ola (life giving waters), fresh water in the form of rivers, streams, springs and ponds represents life, purity and health. 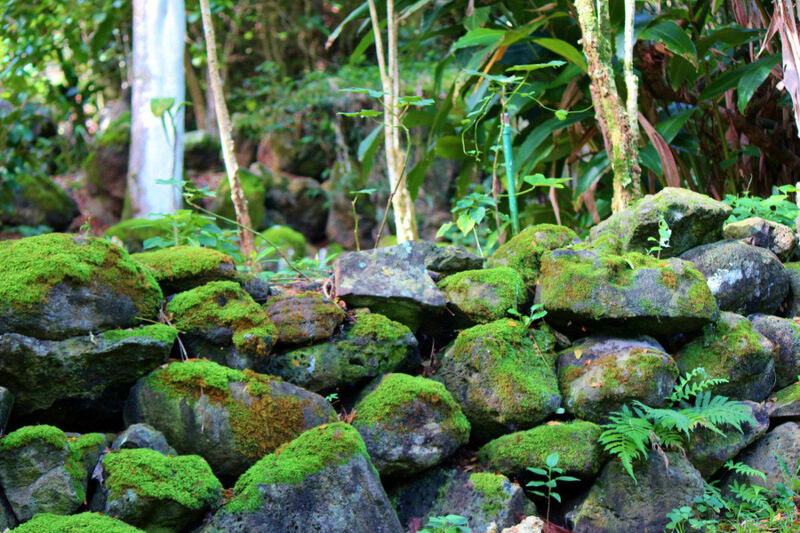 In traditional times, Hawaiians never defiled a fresh water source. All bathing and washing was done closer to the ocean near the end of the stream or river. 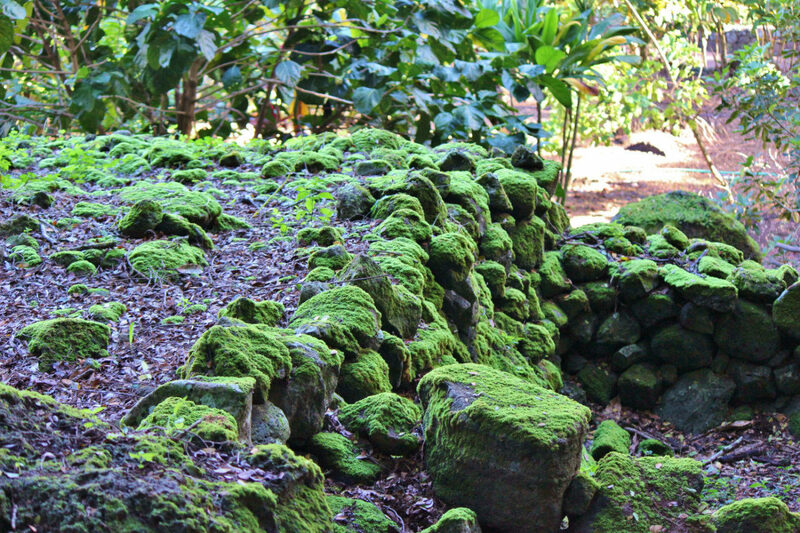 Waimea Valley, with all her natural wonders and beauty, continues to be a place of history, culture and spirituality. We hope you have enjoyed your time here and we thank you for experiencing this amazing place.